Oh, there's nothing like a ranked bowl game! And that's exactly what we're getting soon with bowl season on the way in late December. An especially intriguing matchup is coming for us in the final few days of the month between No. 16 West Virginia and No. 20 Syracuse. West Virginia has been an absolute show on the offensive side of the ball this season, putting up 35 points or more in 11 of their 12 games. Had they played in a canceled game against NC State in September, things would've undoubtedly gone the same way. Coming off a 59-56 loss against Oklahoma, the Mountaineers will be ready for anyone and anything in this matchup. And they'll be doing it without NFL hopeful ​Will Grier. Syracuse has similarly put up big numbers against almost everyone they've played this season, but there's one glaring difference: their performances against two top-ranked teams. Against both Clemson and Notre Dame, the Orange put up 23 and 3 points respectively, suggesting they may not be able to get it done against the tougher opponents out there. 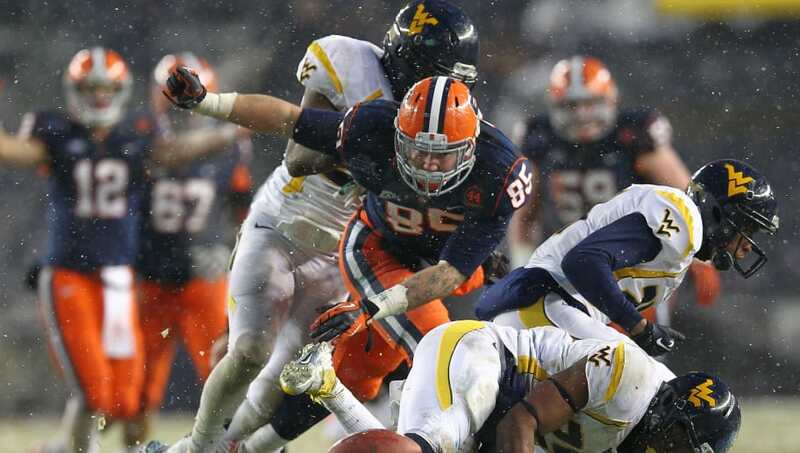 Will West Virginia's defense be enough to stymie them? How Can I Watch or Stream the Game? ESPN will be broadcasting the game on the 28th, but you can also catch streams on College Football Reddit and the WatchESPN app. These two teams have unreal offenses and don't exactly have such inspiring defenses. However, the absence of West Virginia's starting quarterback will squander what would sound like a classic shootout to most. While a ton of points will probably still be scored for both teams, West Virginia likely won't be as potent as usual.